We are very proud to now be serving Copper Bottom Craft Distillery spirits in our Hull’s Seafood Restaurant! Come try a few of our amazing drinks made with Copper Bottom spirits from our cocktail menu. If you don’t have these local distilled spirits in your home liquor cabinets, stop in and see Jenni and Jeremy down in holly hill, you won’t be disappointed. Copper Bottom Craft Distillery is an awesome newer distillery in Holy Hill Florida. They opened their doors in 2016 and have been creating some amazing craft spirits. We love their commitment to quality and passion for their craft. It really shines through in the products they release. Recently Jenni and Jeremy visited us at Hull’s Seafood. Check out this video we filmed at the restaurant that they posted on their Facebook page. We now serve their award winning Gold Rum, Silver Rum, and Vodka. These descriptions are straight from their website. Handcrafted from start to finish and distilled in small batches using unrefined sugar cane. This premium vodka is light, crisp and clean with a refreshingly smooth finish. Enjoy neat or as the base for your favorite high quality cocktail. Handcrafted from start to finish and distilled in small batches using unrefined sugar cane and matured in once used bourbon barrels. This premium rum is a medium amber color with notes of vanilla, oak, and a hint of citrus and spice. 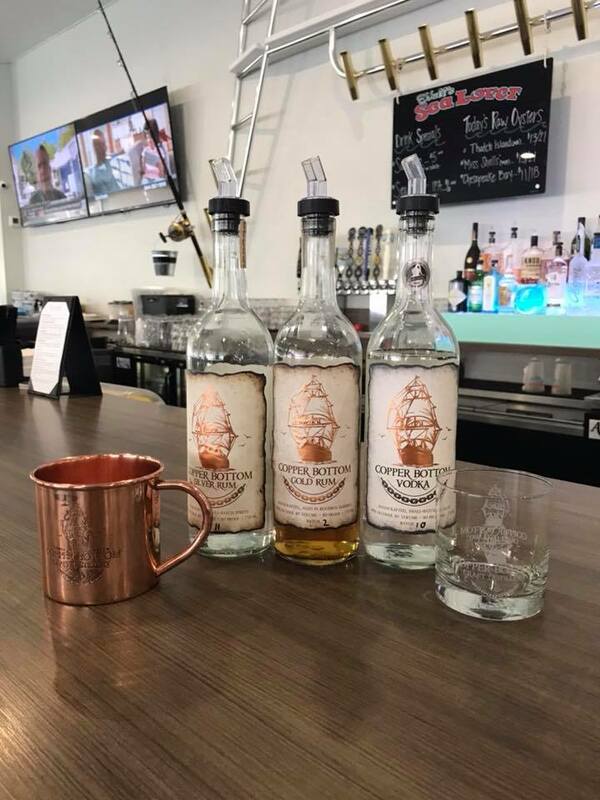 Come in today and try a few of our tasty drinks made from Copper Bottom spirits and don’t forget to visit them at the distillery as well! 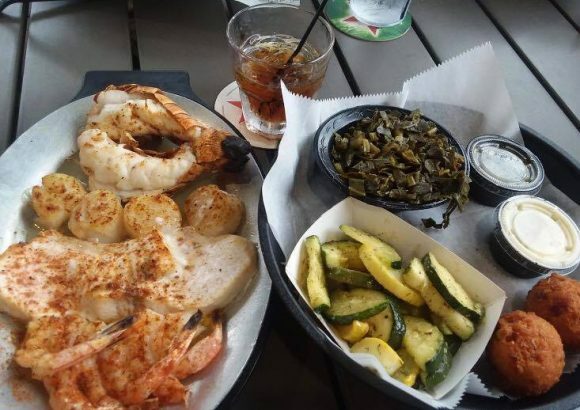 Check out our restaurant menu and see you soon!